Today, I’m going to show you how to make homemade shower steamers with essential oils to help wake you up! Whether its the first thing in the morning or you are in an afternoon slump, drop a couple of these in your shower. These energizing shower steamers will release essential oils that help stimulate your mind and may even help boost your energy levels! How Do You Make Homemade Shower Steamers With Essential Oils? To make your homemade shower steamers with essential oils, start by pouring in 1 and 1/2 cup of corn starch into a medium mixing bowl. Then add one tablespoon of witch hazel. Then you will add essential oils to this mixture – see below why I chose these four. 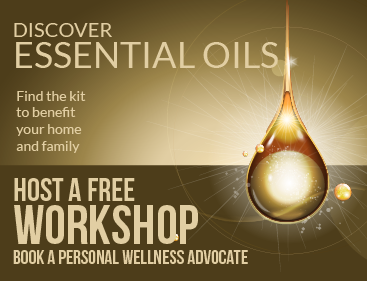 What Essential Oils Are Energizing to Wake You Up? One of my favorite Essential Oil resources is this Reference Guide for Essential Oils compiled by Connie and Alan Higley. All of the facts I wrote below came from this manual. Orange – any citrus essential oil has energizing to wake you up properties. Orange, in particular, brings peace and happiness to the mind and body, both of which will help clear your mind and erase grogginess. Lemon – is invigorating, increases clarity of thought, increases energy, helps with memory improvement, and promotes a sense of well being. Peppermint – fights fatigue and stimulates the conscious mind. Dr. Dembar of the University of Cincinnati discovered in a research study that inhaling peppermint oil increased the mental accuracy of the students by up to 28%. Lavender – is known for its calming properties, but lavender also balances the body and fights depression. I wouldn’t use lavender essential oil alone to wake you up, but when blended with these others, it adds a nice aroma and brings balance to the body and brings a general sense of well being. Rosemary – helps fight off fatigue, even chronic fatigue, stimulates memory and opens the conscious mind. Eden’s Garden also offers a blend called Good Morning Synergy Blend which contains Peppermint, Clementine, Coriander Seed, Basil, Yuzu, Melissa, Lime, Orange, Rosemary, and Vanilla CO2. If you do choose to purchase this blend, then I’d add 30 drops of this rather then 10 drops each of the individual oils. You will want to add 10 drops each of orange, lemon, peppermint, and lavender to your corn starch mixture. Or as mentioned above, add 30 drops of Eden’s Garden Good Morning Synergy Blend. I recommend giving it a good stir at this point as it will become more difficult to smoothly stir as we add water. In fact, you should just whisk this mixture so that the oils spread evenly in the corn starch. Then if you want some color to your shower melts, add a couple of drops of food coloring. I decided on a yellow for mine – a bright morning color to match these energizing shower steamers. Now, it is time to add water. Starting with just 3 tablespoons and mix well. It will start as a dry, crumbly mixture. Add water a few drops at a time and mix well. Then a few more drops and mix some more. Repeat until you get JUST past the crumbly point and the color is mixed in. If the mixture gets too wet, add a little more corn starch. Have you ever made Oobleck with your kids? (I used to be a science teacher and I personally LOVE making the stuff!) It’s just cornstarch and water! When you mix water in with corn starch, the combination turns into a “dry liquid” that is super fun to play with. I will warn you, that while you are making these shower melts, the child inside you may come forth and you may just want to play around with this mixture. You can pour it, but then break off what pours. You can jam a spoon on it and it won’t go through, but a spoon will gently fall to the bottom of the bowl. The starch molecules are so big that they have a hard time mixing with the water and you get these really cool properties of both a solid and a liquid. Your mixture cannot be too wet or you won’t be able to observe these properties. The corn starch has to be just wet enough to stir with effort. If you get it too wet, that’s ok – just add more cornstarch. When you are done mixing and playing with the shower melt “oobleck”, go ahead and pour it into your silicone mold. Again, because this mixture shows both properties of being a solid and a liquid, it is not super easy to pour in the mold. You’ll have to put in some effort to scoop it into its correct molds at times. Once you take them out of the freezer, they will pop right out of the mold. Or you can let them sit for a few days until they are fully dry and then pop them out of the mold. After they are out of the mold, you can store them in a jar. Sometimes they can easily crumble, (or if a bit too wet, they will also melt) so if that is the case, go ahead and keep them in the freezer so they hold their shape. Next time you or someone in your family wants a way to help them wake up (other than to chug coffee! ), grab two or three of these DIY aromatherapy shower steamers and place them right below you where the shower water falls. The warm water will melt them away as the aroma of the essential oils will help open your eyes to start your day. One side note is that if you are washing your hair in this shower, the smell of the shampoo may overpower the smell of the shower melts. So if you want the full effect of the shower melts, don’t use any strong scented soaps or shampoos at the same time. These homemade shower steamers with essential oils will energize and wake you up, and are an easy way to use aromatherapy with great benefits! These homemade shower steamers with essential oils will energize and wake you up on busy mornings! An easy way to use aromatherapy with great benefits! Start by pouring in 1 and 1/2 cup of cornstarch into a medium mixing bowl. Then add one tablespoon of witch hazel. Then you will add essential oils to this mixture. You will want to add 10 drops each of orange, lemon, peppermint, and lavender to your cornstarch mixture. Or as mentioned above, add 30 drops of Eden’s Garden Good Morning Synergy Blend. Give it a good stir at this point as it will become more difficult to smoothly stir as we add water. In fact, you should just whisk this mixture so that the oils spread evenly in the corn starch. Then if you want some color to your shower melts, add a couple of drops of food coloring. Now it is time to add water. Starting with just 3 tablespoons and mix well. It will start as a dry, crumbly mixture. Add water a few drops at a time and mix well. Then a few more drops and mix some more. Repeat until you get JUST past the crumbly point and the color is mixed in. If the mixture gets too wet, add a little more corn starch. When you are done mixing and playing with the shower melt, go ahead and pour it into your silicone mold. Then put it in the freezer for a few hours. After they are out of the mold, you can store them in a jar.